BigcoinGames.com – Choose from any one of the bitcoin gambling sites listed on this website and claim a bonus of up to 1BTC (deposit required). Have Fun Playing these Zero Deposit Games! There are a million and two different ways out there to earn bitcoin, from picking up a few Satoshi for filling out captchas on faucet websites, to working a full time job that pays in btc. But all of those things are boring. What you really want is a way to earn yourself some lovely bitcoin whilst doing something which is actually good fun to do. Like playing video games. It may come as a surprise to you to find out just how many different websites and apps there are which include ways for you to earn bitcoin – or earn an internal currency that can be cashed out in bitcoin – whilst playing a fun game. Everything you will find listed on this page is free to play – no deposit needed. I have also taken care to make sure that all of the games are fun to play and, preferably, require some element of skill rather than just straight up luck. As always I welcome suggestions in the comments if you know of anything I’ve missed off these lists, just as long as you don’t spam and only recommend quality. Cointiply has a range of ways to earn coins, including offers and tasks, a faucet, watching videos and earning interest on any balance over the minimum payment amount that you hold with them. They also have a wide range of free flash games which pay you a small amount each time you play a game. SatoshiQuiz – With a prize pot of 1000 Satoshis for every question, this is actually quite a fun little quiz game with some interesting questions. There’s a good mixture between easy and tough questions, and you get one minute for each quiz question so if you are fast fingered you may even be able to Google the answer to questions you don’t know before the clock runs down on you. There are also regular challenges with prizes of up to 1 million satoshis!!! Bitcoin Riddles – Solve a puzzle / riddles presented on the site and win BTC; Once somebody wins the prize you may have to wait a bit for the next one to show up. Spark Profit – (Repeated from apps section above because its available for web browsers or mobile devices, and certainly fits into the investment strategy category). If you fancy yourself as being the next financial whizz kid, earning millions as a city trader in London or on Wall Street, but you are actually trying to live off a dollar a day in your mother’s basement, then this is the game for you. Its a financial trading simulation in which you try your hand at making predictions about real financial markets, including digital currency markets as well as fiat forex markets. The better your do the more currencies you will unlock, and the more points you will build up. At any point, you can cash out your points to BTC or fiat! Perhaps one of the best things about it is that they will also provide you with tutorials and resources to help you learn how to become a successful trader. If you are one of the top traders you can earn up to $100 per month, but you do need to verify your email and phone number first. [iOS] Takara – PokemonGo style geo-caching game where you collect coins from specific locations in your local area! Also includes Spells of Genesis collectible blockchain-based trading games as well as actual coins. Android version coming soon! [iOS & Android] Bitjoy – Bitjoy offers two different games with more on the way, both of which are modern takes on classic video games. The first is ‘Froggy’, which sees you jumping across roads and avoiding obstacles while collecting coins and trying to keep ahead of the poison fog that is chasing you – that’s available for both Android and iOS. The second game is the ’80s space shooter’ which is currently only available for Android. You have to register on their site before downloading the apps. GameFaucet – Three different games allow you to collect coins as you go along and also to get a bonus for completing a level: Pirates Adventure, which is a little bit like a renewed version of pacman; Going Nuts, which is a physics based adventure / puzzle; and also a Bubble Shooter. There are also power ups that you can purchase to make things easier for yourself if you want. SaruTobi – SaruTobi is a flying monkey, who you literally use to collect coins which appear on the sreen in this simple but addictive game for the iPhone or other Apple device. This was one of the original games primarily designed to be fun to play with the added bonus that you could withdraw free BTC, and it is still amongst the most popular. Bitcoin Flapper – An alternative to SaruTobi for Android users is this flying game in which you can challenge your friends to play with your in tournaments, and the winner is rewarded with a BTC prize by the game. Oh Crop! – This Android game pits you against a plant uprising in an apocalyptic future, and if you get into the top ten scores you earn BTC rewards. Spark Profit – See investment / market trading games section above for full descriptions – the app is available for both Apple iPhone and Google Android devices and you can earn up to $100 per month playing a simulation of the world’s financial markets. FaucetGame gives you a very small number of satoshi from their faucet, but you can then use these free coins to play a slot game in a casino with very big difference – the odds are stacked in your favour instead of against you. You can only play small amounts to start off with, but you can use your winnings to level up and unlock multipliers to increase the amounts. Bitcoin Ball is a basic minesweeper style game in which you are rewarded with a few satoshi for every safe square you uncover. BitQuest – If you are a fan of Minecraft then you are going to absolutely wet yourself over this. If not then maybe you will be soon, as its a fun andvery popular ‘sandbox game’ in which players build up the game world themselves. You make the game, you defined the story – you get control over everything. BitQuest is a custom MineCraft server which makes Bitcoin the in-game currency, which you can earn by mining, trading with other players, and so on. Takara – see phone games section above. Not Bitcoin but… FindMyEther is a fun looking treasure hunt game where small but significant amounts of Ether (0.5-1 Eth) are hidden both in the real world and on the internet, and subscribers are sent clues to go find them. BitRunner – Augmented reality gaming taken to the next level. This is a cross between a treasure hunt and an action game you can play with friends: not only can you find coin fragments by visiting the right locations, and piece them together to earn bitcoin, but you can also steal them of other players using cunning strategies. You can play with any mobile device that has GPS. Spells of Genesis is one of the biggest and most well established games using blockchain technology. It is also the best fun to play, in my humble opinion. Although you can’t earn bitcoin directly within the game, you do build up a collection of more or less rare cards which, when fully upgraded, can be ‘blockchainized’. These blockchainized cards are rare digital assets which are stored on the bitcoin blockchain using the Counterparty protocol, and can be traded with other players on the Counterparty decentralized exchange. This is a new feature recently added to the game so it is difficult to gauge how much these cards will be worth, but they do give players a chance to earn something of value which can be traded directly for BTC just for playing a game and it seems entirely possible that you could earn more like this than through the games listed above if you are lucky enough to snag a powerful card. Also, its a great game already with plenty more improvements and additions on the way. Well worth a look if you want something you can get stuck into and not get really bored playing after a few hours. Check them out here: https://spellsofgenesis.com/ to give it a try. Although games a very addictive, I like pc games myself, but playing this type leaves almost no time for ordinary faucets. I know through experience, I was at a loss in revenue compared to the faucets. You are probably right that you don’t get as many free coins from some of these as you can elsewhere (like our own faucet at bitcoin.cryptorials.io), but this is a much more fun way to do it. Also, some of them do pay reasonably well if you get good at them, or put in the effort over a long time. follow and catch it on the time. I LOVE this post! I am a HUGE Bitcoin Gamer, and I am always looking for new games to play! This is an amazing list! I must say, FarmSatoshi is my #1 Favorite! In the game you need three referrals when you get to level 6. Well, I am there, and would be super glad of someone could help me out with that and be my referral? You can also send transfer money to other friends in the game, I would be happy to donate back to your farm for helping me progress mine! Also, I am in the chat section often if anyone has questions or needs help. My username is Staerr. Thank you all in advance!!! I hope to see you in the game! Are there laws restricting this in the US claiming it’s gambling? I’m no expert on U.S. law (apart from anything else I’m in the UK), but these are all games which you can play without putting any money up yourself, so I’m pretty sure the answer would be no. cryptocollider.com is a great physics based game. Its very hard to understand what that game actually does, but as far as I can tell its basically a betting game – you get 0.002 btc free to start you off, but you can’t ‘earn’ coins unless you’re one of the top players, which I presume means you have to deposit a lot to play with. If I have understood it right, then its not really appropriate for this list. I play heroes now. It is new investment game for earnings of bitcoins. Free Satoshi at 1 level. Instant payments. There is no need of regular clicks. 5% Referral system. I like it. Please, join. I would like to invest, have you WD? I really like DT dragons tale… i love it so much! i wish i could spread the word much more! but i cant. so please post Dragon’s tale on your list! its amazing! Thanks for sharing, very nice info. You buy food, buy animal, collect their eggs and sell them. You can WD your satoshi withdraw balance, at this time support xapo only. This is not investment games and totally free to join. Also I have some other sites in my blog. Thanks for let me post dear admin. Why not mention Eulora too? It actually is +ev at the moment especially for newcomers. Looks interesting but I’m not sure its ready for the general public yet. I’ll add it when its a bit more user-friendly. Thanks for the recommendation! I am new into this. I have installed FreeBitcoin app on my Android phone and I am very much pleased with it. It nottifies me every hour to get the satoshis. All I have to do is to tap some numbers and watch some ads. It all take a few minutes. don’t even waste your time anymore . there are big Faucet and you are gonna earn 0.01000000btc.Just Defeat Robots to earn awesome Bitcoin rewards! Upgrade your attacks to defeat Robots faster. After every zone, you will face tougher robots, but win better rewards. There are some good ways for beginers to get Free Bitcoins Online. And yes some of games are pretty hard to understand what that game actually does. So I started with faucets, easier games and real games..
What I really want is a civilization game that will allow bitcoin withdrawals to my wallet key. i mean doesn’t that make since? If you like easy, Im loving this one called WHEELOFCOIN! Ive already money pennies that are turning into dollars! Free satoshi from new games and best faucet sites. Build a cannon, buy fuel, upgrade or buy better canon. Hey, make sure you add http://www.FaucetGame.com in your post! It’s a Slot game where the odds are against the house! Claim every 5 minutes, 50% referral commission! You can also win big amount of btc from this android game, just spin the wheel .So simple right ? Coin Brawl is a fun, almost old BBS style arena fighting game. It’s very basic when it comes to play style but it has a daily reward pool of 2 Million Satoshi divided among every player in the game based on their daily score in the arena. It’s been around since last year and most of the other games posted above have since disappeared. Cannon Satoshi, Farm Satoshi, Coin Plants, Faucet Birds, etc… All of those sites are either gone completely or fail to process a withdrawal requests. I’ve submitted ones on the few sites that still maintain a page as if they’re still active faucet games but most say it’s processed and never do or just spit out an error and ask you to come back later. I tried all the ones I named above and while they were fun while they lasted, they’re pretty much dead now. Some still have the pages up but refuse to process withdraw requests while still generating ad revenue from unsuspecting visitors. 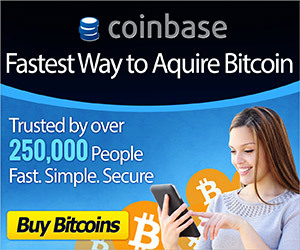 It’s lame but pretty much expected when most BTC sites are ponzi schemes anyway. Regardless here’s my link to CoinBrawl if anyone wants to check it out. The site’s forums have a FAQ and posts about how to start playing as well as strategy tips. The game doesn’t require a deposit (it even allow depositing for that matter) so there’s no risk involved in signing up just to take a peek at the game. It’s been alive and well since last year so it’s not just your basic hit people up for ad revenue/deposits then cut and run like most other games out there. If you don’t want to use my referral link just cut off the ref number. I’m not here fishing for referrals, I was just looking to see if any new or cool games had popped up recently since most either exit scam, or just die off after a month or two and it’s obvious most of the non gambling/deposit to play sites mentioned here are quite dead. I’m more interested in free to play games because in my experience if a site requires a deposit that’s a big red flag that the site will eventually exit scam the user base like many have in the past. Earn free bitcoins by playing this fun game. Check out btcgamester.com. There is a mmo flappy bird game which pays in bitcoin! The site also has a regular faucet. Add this too..i am currently playing and winning 15000 bits..
You can try donutbit.com too 🙂 it’s pretty unique minesweeper game. You can deposit to play or get free bits to our faucet for starting up. To give real Information about the Pokebits game. I personally think it is one of the best Bitcoin Games out there. At this game you can train about 150 different pokemon, It’s a multiplayer Game so you can battle the other Pokemon trainers. You can even sell or buy pokemon for satoshis at the market. So you could really make money on training pokemons. A payout is possible if you reach 100.000 satoshis. And it does not need very long to reach this goal. You can do Quests and win some pokemons there or get special abilities with a little bit of luck at training. On top there is the pokeshop which you can upgrade and have daily earnings. Also you are able to use the chat where you can speak up to other pokemon trainers. I have tested a lot of gaming faucets in the last times. This are the ones which are the most valuable i found within months of searching. This games all payout I have proofed it by myself. So have fun with them and earn good. Description: This is a memory like game where you have to find to similar flags in bunch of 20 fields. Your winning amount is calculated on your success choosing the cards. A round can make a win probably up to 450 satoshis. Description: In this game you have a wall with 12 bottles at it. You can shoot for about 4 times and so pick four satoshi prizes. In regular cases I got round about 150 satoshis in a round which is playable every 30 minutes. A round itself is done very fast. If you do 30 rounds you can do a super game with even higher earnings. Its not clearly definable how much the exact amount of a box is but it is probably a fair amount and the best boxes are very well paid (at Bitcoin about 2000 satoshis). Is made weekly when balance is at least 10000 satoshi, 500,000 LITOSHI or 100 Doge coins. Description: Here you get a quadratic map of 13×13 fields. Every field contains a prize from 15 to 158179 satoshis. You can pick a field and choose if youre okay with price or choose another one of the fields two times. Payout: Is made automatic when you reach a goal of 10.000 Satoshis regulary in about a week of time. Description: Birdsbit and Frogbit follow the same principle you have ten rows from top to bottom. Your Goal is to choose your way to the bottom without hitting an enemy and get as far as you can. These faucets can be used every 10 minutes. At every 20th round you get a super game where you can make much higher earnings. Earnings are different how far you get probably around 5 to 200 satoshis in a regular round. Bombfaucet is basically the same horizontally. Payout: There is no exact payout but I got all my earnings in about a week of waiting time. Payment at Birdsbit and Frogfaucet is made automatic if goal of 25.000 satoshis is reached. Bombcatch pays out at a balance of 10.000 satoshis. You can get about 3 prizes(high,medium,low) or nothing at a field. On top of this you get a daily price for visiting 100 satoshis for 1st day up to 500 satoshis at the 4th day – plus a super game at the 5th day. This Supergame is about choosing one of 3 cards with a winning amount often between 1000 to 2000 satoshis. Payout: There is no exact Payment time but probably if you reach a balance which is at least 10.000 satoshis Paymout will be made within a few Days – in my case it never lasted more than 3 workdays after reached payment minimum. Description: This is about finding ships like the community game. You have about 20 shots to find ships which are hidden at a 10×10 Board. If you find all you can earn up to 1000 satoshis a round. Here you spin a numbered wheel to travel step by step with a Spaceship (Stellarbit) or with a Submarine (Deepbit) through a map. Green Arrows can give you a forward run and red will let you go backwards. At all you have 6 chances to spin the wheel. The price depends on the sum of all reached positions at the map which are added. If you reach the end of the map you can on top earn a Jackpot. In this game you get a map with gifts. You have 3 Attempts to chose the best gift. You choose if you want to hold the first selected gift or try to find a higher coined one. If you choose to find a higher one the gifts before are taken away. risk. You can choose to get the prize or go to the next level of the pyramid with including risk to loose the amount. Each level winning multiplies your amount – that means in detail your amount at the second level is multiplied x2, at third x3 and so on. You can choose to take your win at any level or risk in going on to loose the hole amount. equipment to do different mining operations. The equipment you get is caused by the luck in your preying. After this you can mine in a River(45sat), at a Mountain(105 sat), at a coal mine(210 sat) or an open mine(450 sat) depending on the equipment you got at the preying. Here you begin as a cleaner(5min) or a worker(15min) who can make his career up to be a manager or a director to earn in a longer term more satoshis. A director ca can get 250 satoshis in 15 minutes. I have found interesting a bitcoin gambling website (https://www.bitcoincasino.us/) that gives free spins and bonuses for referring anyone to their website. quite good for 200 usd and 150 free spins for that is great. I claimed 3 times their offer. I did not know where to invest money and found an investment game on the Internet. I believe that you can make good money here by making bets on crypto-currencies. I liked that here a minimum deposit is possible and a free dollar is given. Can these be true without investing just to play game to earn. Hey guys, I’d like to add our newest Bitcoin Game “Coin Racer” to the list. It’s a free game, you can’t put any money into the game but you can get paid out real Bitcoins. We simply share our advertising income and outer program commissions with our players. The game is still in Beta, means it’s fully playable but we haven’t added all planned features yet and there might still be some bugs. You can win up to 700.000 (seven-hundred-thousand) Satoshi in our World Cup, one of the different types of races in the game. We are a small 2 man company from Germany (you can find our details in the impressum on the site). The funds in the game are managed through pools that we mirror on Bitcoin Wallets and fill when money comes in, so we can alway pay out the Bitcoins in the game. Open a box and win satoshi, if you do not like the awards you can try again, then click the captcha and wait 10 minutes to open again. There are 25 boxes with various awards and a special prize of 55556 satoshi. My website BTCWarrior.com is a Bitcoin RPG that has payed out 5,168,591 Satoshi to 441 users! Every battle won earns you satoshi and a ticket to the daily tkill raffle! Current prize is 1500 satoshi! Reach the leaderboard to be eligible to claim a share of the sites revenue!